miscellaneous : Wild Tales (2014) Relatos salvajes (original title) Review. Wild Tales (2014) Relatos salvajes (original title) Review. This film is about Six short stories "Pasternak" "The Rats" "The Strongest" "Little Bomb" "The Proposal" "Until Death Do Us Apart The wedding" that explore the extremities of human behavior involving people in a difficult situation. Some parts are short while others are a little long but each and every part will keep you curious and excited throughout the movie. The starting part starts the tone for the movie in an airplane where a model & music critic kind of flirt with each other and while doing so they found out that they know a person named Pasternak both. The model's ex-lover and the critics who skrewed his work. Also others join in who have been associated with Pasternak in the past, his school teacher, friends who bullied him, his friend who stole his girlfriend etc. What will happen ? 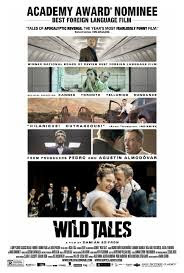 This is the start of the movie, Welcome to Wild Tales. The other parts The rats set up in a cafe will showcase the reaction of an old woman. A girl whose family has been harassed by the loan shark. The loan shark visits the cafe in am rainy afternoon and Wild Tales. What Will happen ? Welcome to Wild Tales. The Strongest will showcase an incident of roadrage and both the drivers reaction to it. What Will happen ? 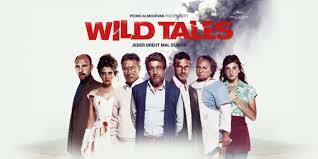 Welcome to Wild Tales. Little Bomb is my favourite in the Wild tales saga. How an ordinary citizen rises above the harassment done by civic authorities and will he be able to take revenge ? Welcome to Wild Tales. The proposal is also well made showcasing the greed of human when one person is in distress. Will the rich man succumbs to the greed of the police and lawyer ? Welcome to Wild Tales. The last part is the longest with some excitement one can imagine. In a big fat wedding the brie finds that the groom has cheated with her ? And the girl is a guest in the wedding. What will the bride do ? will she break the marriage off ? What Will happen ? Welcome to Wild Tales. Pen Pineapple Apple Pen, Another BRAINWASH song!! Chhote Kadam for a healthy heart.